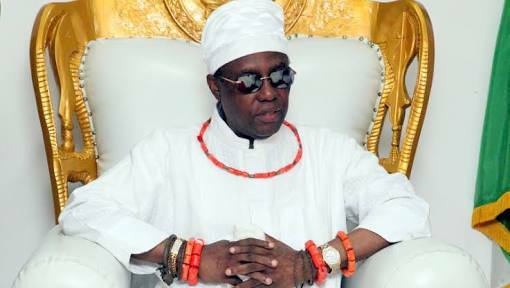 Edo state chapter, All Farmers Association of Nigeria,(AFAN), has appealed to HRM Oba Ewuare ll, Oba of Benin, to call Enigie and Edionwere to order, to stop obtaining money from herdsmen at the detriment of farmers whose crops are destroyed by their cattle. The Chairman, Edo AFAN, Chief Emmanuel Odigie made the appeal recently in Benin city, while speaking with newsmen, after the association’s visit to the palace of the Oba of Benin. Chief Odigie who is also the chairman, Chief Executive Officer,(CEO) of Oghodua Farms Investment Limited, urged Edo state government to synergize with stakeholders in the agricultural sector, especially Mayetti Allah, to end farmers/Herdsmen crisis. While noting Edo AFAN has put in place techniques and plants to scare away cattle from grazing on farmlands, the chairman added that, the association has contracted a reputable insurance company to provide coverage for farmers and their crops in the state, against possible risk. The Edo state number one Farmer who called for the registration of cattle handlers and their owners to enable government generate revenue, charged communities to set up vigilante groups, to liaise with cattle rearers, which according to him if found wanting should be handed over to law enforcement agents. He further noted that, during the visit to the palace, Edo AFAN made the Oba of Benin, Life Grand Patron of the association, who he said agreed to involve AFAN in his agricultural transformation agenda. The chairman however expressed the association’s appreciation to the Benin Monarch and pledged to attract more partners to ensure the success of Oba Farms and Market projects.